According to a recent poll conducted by Gallup, more Americans want to focus on improving school security and reforming mental health laws than imposing new gun control measures. In total, 56 percent of those polled said that they want Congress and the president to “focus on making major changes to school security measures and the mental health system” while 41 percent preferred “making major changes to the laws on the sale of guns and ammunition” to prevent future school shootings. Unsurprisingly, Gallup found a huge gap in support for the two different approaches to stopping school shootings based on party affiliation, with 80 percent of Republicans favoring the school security and mental health approach and 61 percent of Democrats gravitating towards supporting gun control. Thus, one month after the carnage at Stoneman Douglas, Americans are leaning more closely towards President Trump and Republican lawmakers than Democrats in response to the school shooting. The fourth proposal to stop school shootings that has broad bipartisan approval is instituting universal background checks for all gun sales, which 96 percent of Democrats and 86 percent of Republicans support. In the same poll, Gallup found that President Trump’s proposal to allow trained teachers and administrators carry guns on school grounds is far less popular, with only 42 percent of those polled favoring this approach. Although 69 percent of Republicans like the idea, only 22 percent of Democrats do. 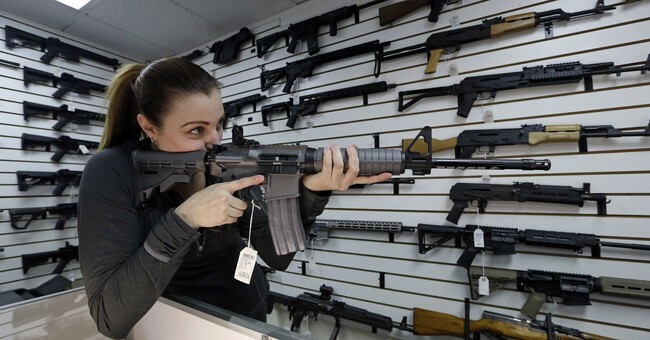 Meanwhile, Democrats overwhelmingly support banning semi-automatic weapons like the AR-15 (72 percent) and raising the minimum age for purchasing firearms from 18 to 21 (83 percent), but Republicans are significantly less enthusiastic about these measures (37 and 53 percent approval, respectively).